If you’re like me, you value thoughtful conference room design. When you spend up to 23 hours a week in meetings, the design and tech within those spaces has a huge impact on how comfortable and productive you feel. Recent room design trends often include lots of transparency and natural light. But it can be tough to strike a balance between designing for a modern workforce and keeping intellectual property secure. And as much as we love windows surrounding an entire meeting room, for example, it’s not always the most practical option. Here are seven ways to strike the perfect balance between design and security in your conference rooms. Some meetings require more privacy than others. Whether it’s a quarterly board meeting, a presentation on a secretive new product, or an annual performance review, visual privacy can be helpful to keep content secure and avoid distraction. When thinking through conference room design, window shades or frosted glass are great solutions to block out passers-by and make the space more private. With semi-private design elements like these, companies can still promote transparency while giving employees access to semi-private spaces when they need it. Another option is privacy or ‘cloaking’ film that is applied to glass walls and appears transparent. These films block out all LED and LCD screens to outside observers, so presenters and meeting attendees never have to worry about speeding through a presentation in an effort to keep information confidential. How reliable is the tech in your conference rooms? How long does it take employees to connect with remote colleagues on a video conferencing call? With half of the workforce expected to work remote by 2020, the need for reliable A/V hardware and secure video and teleconferencing capabilities is more important than ever for constant access and communication with colleagues. Video conferencing and document and screen-sharing capabilities with less secure software puts company information at risk of being discovered by outside parties. Instead of employees going rogue when conference room tech goes awry, outfit the conference rooms with trusted tech in the first place. Some options include Google Hangout Meet for both video and audio conferencing for easy integration with Google Calendar, BlueJeans for audio, or Cisco equipment for video conferencing. You can also check out 2018 conference room TV reviews for inspiration on what TV will work best for your company. Upgrade the branding of your conference rooms with a room display and suddenly your company name is plastered at the door to every room along with whatever eccentric nameyou’ve chosen for it. Room displays also keep your entire office’s calendar more secure by displaying the room availability much more publicly and discourages colleagues from stealing spaces right out from under whoever booked them. With real-time calendar updates, room displays are always up-to-date, whether you book a conference room minutes before a meeting or cancel an invitation and free up the room to the rest of the office. In a noisy office, employees tend to retreat to quiet spaces or conference rooms for silence and privacy. As a result, many offices are in desperate need of more bookable spaces for meetings. And when employees don’t have enclosed conference rooms to meet in, the office only becomes noisier. One solution to this common issue is a cloud-based access control system, like Kisi. 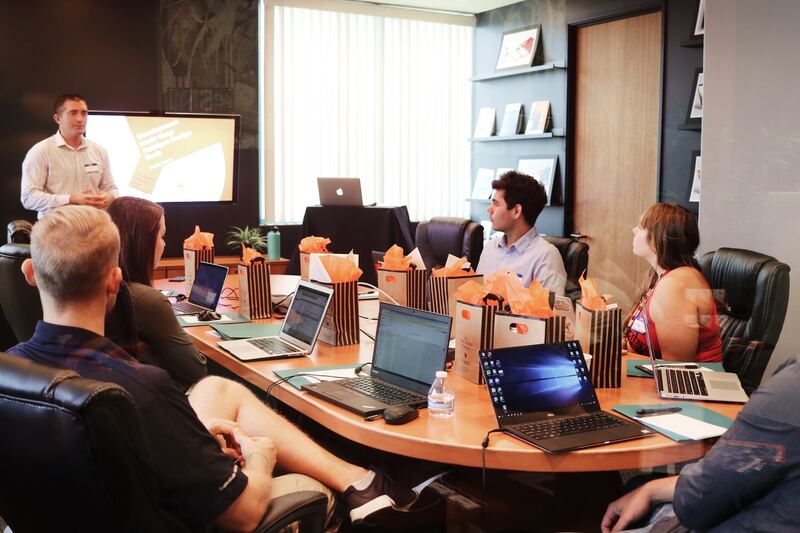 With cell phones or company access cards, employees have the ability to unlock the door to their next meeting, acting as a first pass to the conference room they booked. With this type of security, employees never have to worry about conference rooms being stolen, especially when visitors or remote workers come to the office. Your new conference room might look stunning with best-in-class chairs and whiteboards for walls, but if the WiFi is unreliable, all it amounts to is wasted square feet. Employees and visitors need to know that the office WiFi is secure and reliable otherwise they’ll retreat to other open networks, like a coffee shop, putting confidential company data at risk. If you’re moving into a new space or redesigning an old conference room, estimate the right amount of power and electrical capabilities. Explore available ISP options and figure out how much bandwidth you need. Prepare for growth and include the rate at which your company will add headcount in the next few years. 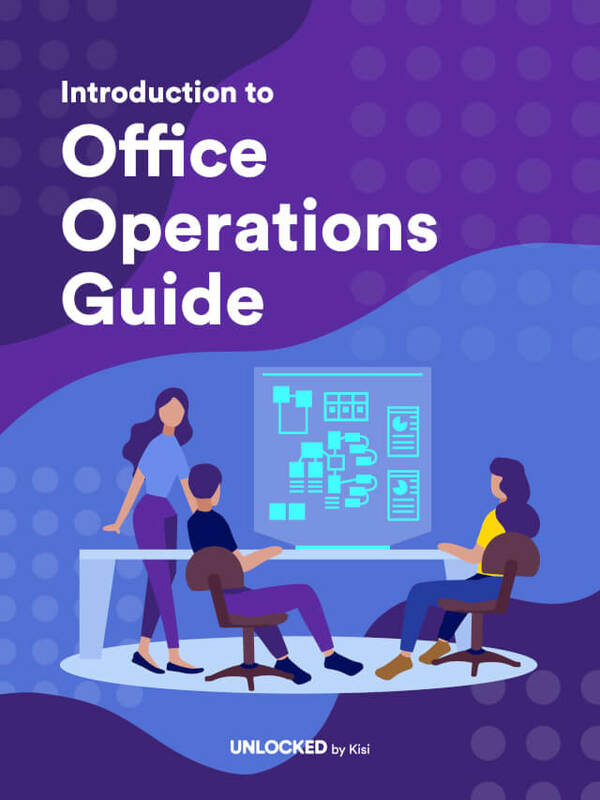 From the moment an employee steps foot in the office, they should know how to find the conference rooms they’re scheduled in throughout the day. With interactive office maps, employees can easily locate a specific conference room and figure out the best path to it. The extra visibility into the office schedule also sheds awareness on which meeting rooms are free to book and which are busy, avoiding traffic jams and overbooked spaces. Meanwhile, since the mapping tool is secured by SSO with a company account, facilities managers don’t have to risk publishing secure floor plans to a more public platform that could be easily accessed. One of the top open office complaints is noise and distraction. Basex estimated that the cost of work interruptions cost $588 billion a year in the United States. But the open office concept isn’t to blame. It’s the design behind it. When companies neglect to provide a balance of flex space like open areas for collaboration, private pods for focus work, and huddle rooms for small groups, productivity will suffer. In order to be as productive as possible, employees need a flexible work environment with access to variety of work settings at any given moment. When designing these flex spaces, make sure employees can move from space to space quick and conveniently with a universal set of hardware wherever tech may live. The security of knowing that at any moment an employee can relocate to a quiet conference room for a private call paired with thoughtful conference room design to support a variety of activities makes for a happier employee and a more productive workforce. This article was written by Danielle Aihini, Content Strategist at Robin Powered.